The MacMillan Bloedel building built in 1968 and designed by Erickson and Massey this powerful monolithic structure displays the advancement of Erickson’s West Coast style. Rather than using the curtain-wall construction typical of the time, the walls of the two offset 27 story towers are poured-in-place load-bearing concrete and taper from a thickness of 8 feet at the bottom to 8 inches at the top. 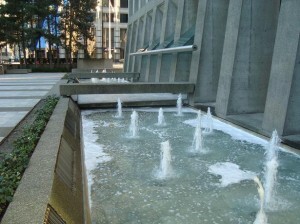 The honeycombed facade expresses a sculptural strength and simplicity nicknamed the “Doric Facade” by Arthur Erickson. 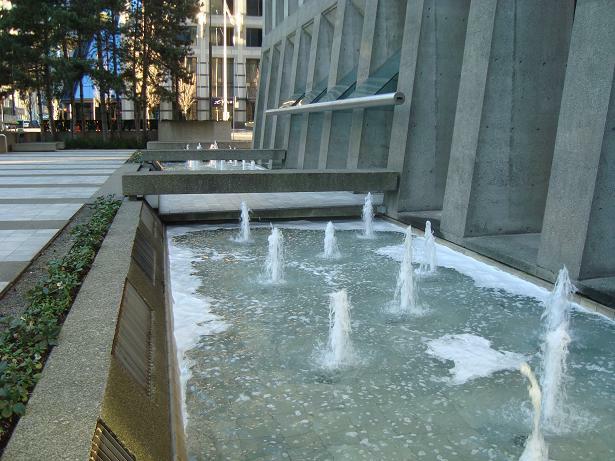 The building towers above the simple reflecting pools in harmony with the local mountains rising above Burrard Inlet. The artistic merit of this building was highly regarded and the building received a Massey Medal for Architecture in 1970. 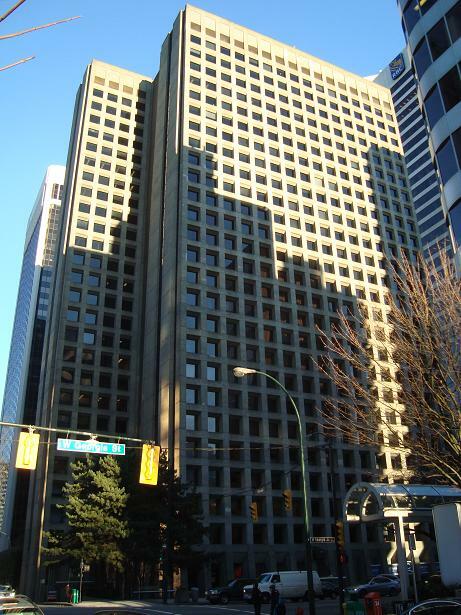 It was occupied by forestry giant MacMillan Bloedel until the Weyerhaeuser acquisition in 1999.